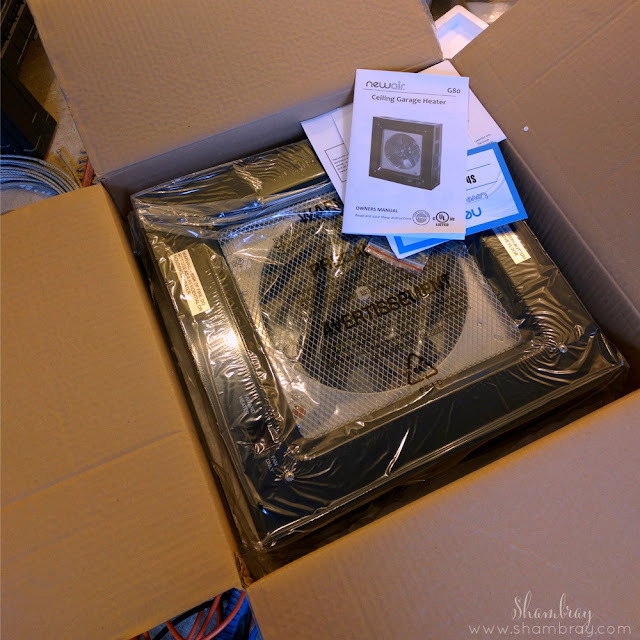 I received a free Ceiling Garage Heater from NewAir in exchange for writing a review on the blog. 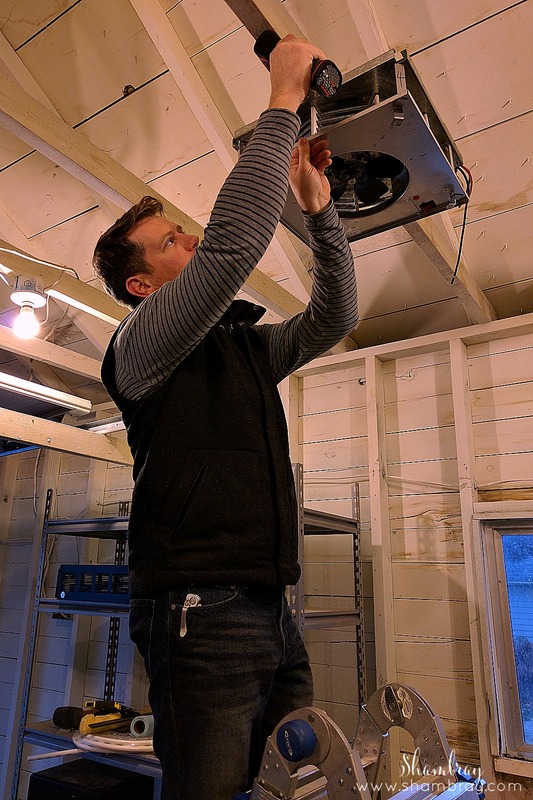 My husband and I like to do a lot of projects rain or shine, hot or cold. Unfortunately, our garage is not attached to our house and is not insulated. I'm sure you can imagine how cold it can be in there during the winter; not the most ideal situation that is for sure. I tend to complain about it more than my husband. He is much more tough when it comes to the cold than I am. We have been doing a HUGE renovation of our home. 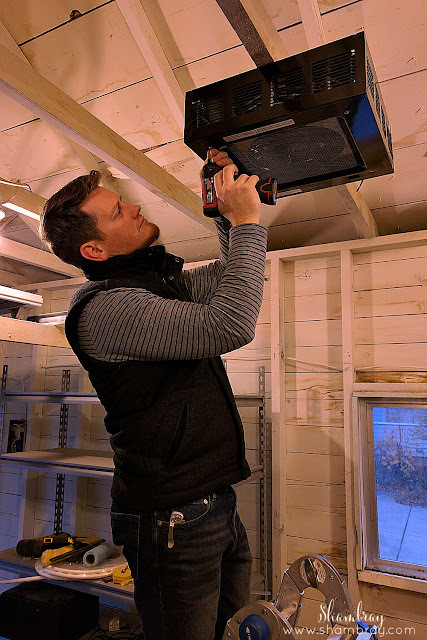 Since we are living in our home while we are renovating we tend to try and do as much of the messy stuff outside in the garage rather than in the house. These projects won't stop because it is snowing. So we have been looking for a solution for this problem. 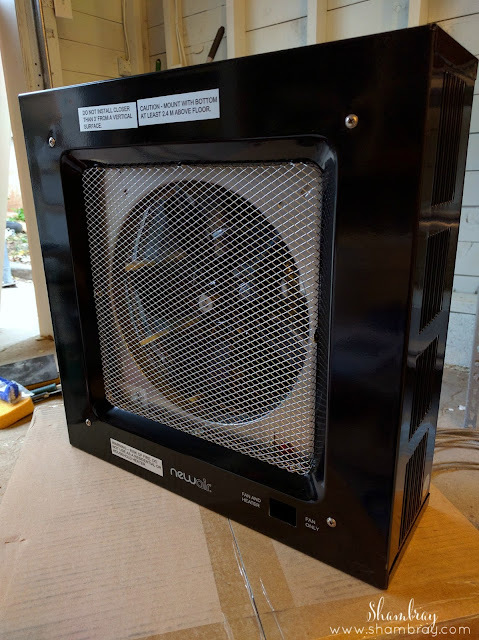 Luckily we found the most amazing heater that will heat up the unisulated garage quickly and it stays nice and warm. We are so excited to be able to paint and stain out there and have it dry quickly. Last year we had to use other's garages or do it in our house. Can anyone say headache? 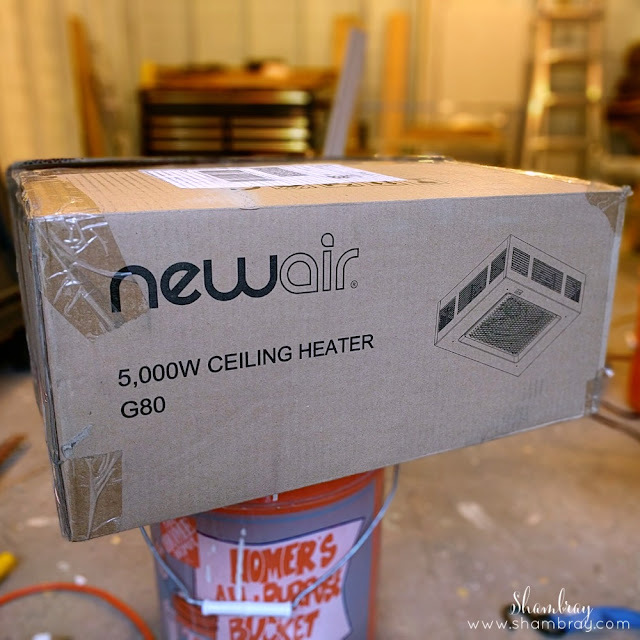 The heater is the NewAir G80 Garage Heater. 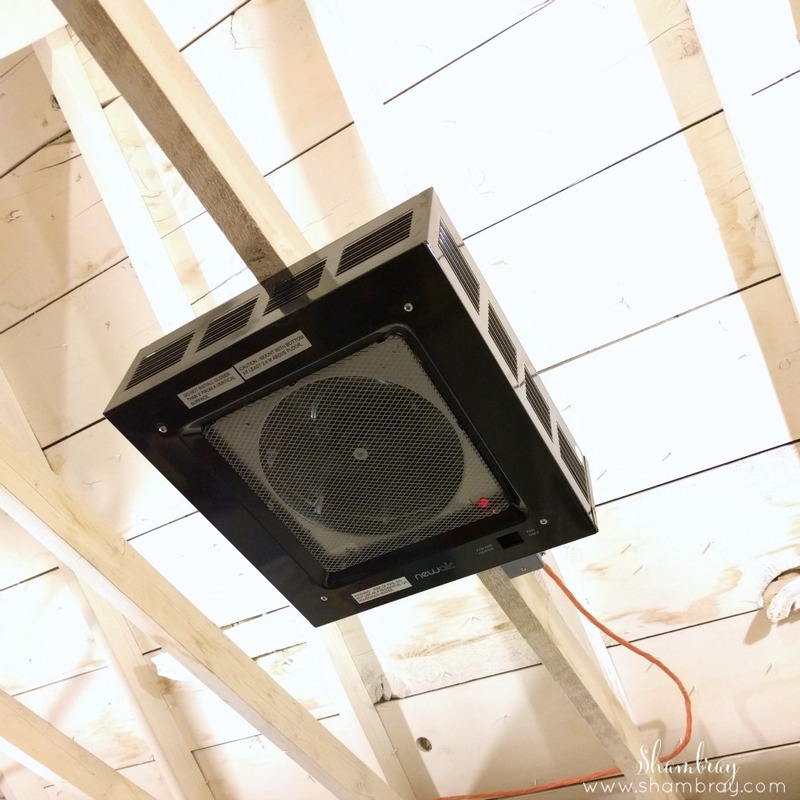 It is quick and simple to set up if you have some electrical background. If you don't you might want to hire someone that has the know how on electrical wiring. Since my husband seems to know about everything I didn't have to look too far. Thank heavens. Amazon carries this heater and since I love Amazon I tend to recommend buying through them, but you can also buy it through NewAir directly or Air & Water. Now when you think of me doing the projects for the house or even for crafting you can imagine me not freezing. I will not have to be miserably cold anymore when making my house a more beautiful place to live. This website is terrible! The barge of popup is very distracting and worthless! I will find another site to review the item! FYI This is a Discontinued Item.